Merry Christmas from the Millennial Homemakers! This year, we’re celebrating by bringing you the Twelve Days of Christmas. 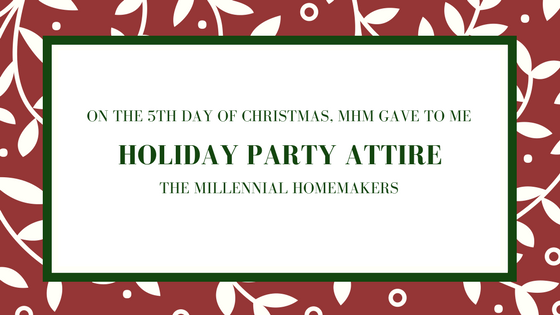 On the fifth day of Christmas, the Millennial Homemakers give to you - Holiday Party Attire! We’ll share ideas about what to wear to work parties and family and friend parties. Are you hosting a party this year? Don’t worry, we’ve got some wardrobe tips for you, too!